The new Swarovski SLC HD binoculars are available in both 8x42 and 10x42 magnifications. 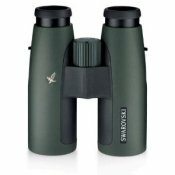 What exactly is new with these next generation Swarovski SLC binoculars for bird watching? Better optics, better focusing mechanism and less weight to name a few. Let's get down to the nitty gritty details that count. HD Lenses - allows for greater color fidelity by preventing any chromatic zonal aberrations. Translated: Birds will look as clear, sharp and naturally colored as can be. Minimizes fuzzy dull color fringing. Enhanced Lens Coating (Swarodur, Swarotop, Swarobright) - supports HD glass effect. Also Swaroclean anti-stick outer lens coating makes it easier to remove dirt and smudges. Larger Field of View (FOV) - The HDs now come in 8x42 instead of 7x42 with a larger exit pupil distance (18.5mm), providing a FOV of 136 meters/408 feet. Especially good for those who wear eyeglasses. 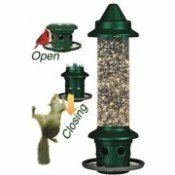 In addition, the removable twist-in eyecups are individually adjustable in three stages. New focusing mechanism - Fast, precise adjustments. From 1.9m to infinity with a single turn of the wheel. Slimmer, shorter and lighter - The open bridge design has been compacted compared with the in the 7x42 SLCs. The height 63mm vs 71mm the width 120mm vs 122mm and the weight has been reduced in new magnesium housing by 5 ounces (140g) to 28.5oz (810g). Here is a comparison of the Swarovski SLC HDs with a couple of their closest competitors from Leica, Zeiss and Nikon. Some would also say that the Nikon EDG's are in the same league because they have field flatteners like the Swarovski ELs, but others feel it does compete with the HDs, performance wise. Dioptric compensation (dpt) +-4 +-4 +-4 +-? The previous Swaroviski 8x42s SLCs (non-HD) cost around $1500. So there are $500 worth of improvements on the new model. It is not just HD glass, but a pretty much overhaul of design on the entire unit. Some would argue that a lot of these "new" features on the Swaros aren't so new and they are just playing catch up with Zeiss and others. With the prices so close of the four listed above, with the exception of the current reduced price on the Nikon EDGs at Amazon, it really comes down to personal preference. 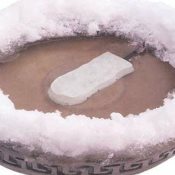 What feels best in your hands and which features are most important to you, such as eye relief or perhaps size and weight. None of the high-end binoculars listed above will rank substantially lower compared against each other. You will not pick up the Swarovski's and then view through the Leica's and think the viewable image is drastically different. All of these binoculars are at the same price point for a reason. They all have comparable optical design, quality components and overall top-notch engineering. Take a closer look at the Swarovski SLC Binoculars. Swarovski Optik has more information here about the SLC HD binoculars and they also have a link to a spiffy flash site if you want even more details. 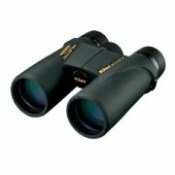 You can also compare binoculars, say the SLCs with ELs or different magnifications. But it's not so obvious how to do it. You have to choose the "Technical Data" tab, then add it for comparison and it will show up on the right hand column of the page. Hope this Swarovski SLC HD binoculars review has helped clear up some of the hype so you can make a more informed decision.